On June, 8, 2017, you turned 5 1/2 years old. These days you seem to be a very sensitive and sentimental person. You hold on to each moment with a desperation akin to the way my grandma used to save the last bite of food on her plate at dinner. She had been through WWII, but I’m not sure what your excuse is? Maybe that you’re 5. I finally found a dentist who was willing to do the work that was needed on your molars without general anesthesia. You met with her for a cleaning and you both just fell in love with each other. It was an instant connection. The first visit was cleaning and x-rays, the 2nd visit, she tackled the toughest two teeth (2 hours in the chair), the next visit she did two more difficult teeth (1 1/2 hours in the chair — you decided to take a nap), the 4th visit she did 2 easier teeth (you told her you were going to take a nap… haha) and the last visit she did just a couple fillings… all on your molars. I am relieved and thrilled that we were able to find someone who is so skilled with teeth, such a good fit for your personality. She is now my dentist, too, and when I leave her office, I feel like I’ve just visited a really good friend. We are so blessed! We traveled to see my Aunt Marjorie in April, and when we got there you curled up in the hallway under all the family photographs and started crying, “I want Uncle Jim back.” I know you were grieving his loss, and I know that it wasn’t really real to you that he was gone until we got there and you actually realized that he wasn’t there, but … damn… could your timing have been just a bit better? We’ve visited Legoland and Sea World several times each in the last six months. One of the times (for each park) we brought your Grandma D. You held her hand and acted as her personal tour guide around each park, sharing all the things that meant so much to you. Your Grandma D. is a true treasure, she just let you lead her around and soul-feasted on your joy in sharing with her. In April we enrolled you in beginner’s basketball. My boss at work was coaching her son’s basketball team and she said she wanted you to remember her always as the first person who contributed to your fame, so she sponsored you. We have tried… gymnastics, dance (ballet and tap), swim class (although not as a sport, just to learn), ice skating, aerial arts … and it appears as if basketball is your love. You LOVE basketball. You were excited the first night, even though it was orientation, and wanted your ball despite the fact that your ball was flat. You didn’t care. You wondered where your coach was… you’were ready! As far as I can tell, the stories I’ve heard, you are a willing and eager participant in learning to play the game. You finished out your Awana season in the Cubbie group, and next year you’ll move up to the Sparks group. You were excited about that and then the next day you randomly realized that by becoming a Spark, you would no longer be a Cubbie. Child, I think you outgrew being a Cubbie about halfway through the season, as you towered over the other kids in your class. You are going to thrive in the next level; you are SO ready. Your teacher at the co-op preschool group you’ve been attending left the group. She was driving a long distance to teach our little group and traffic in California is increasing rapidly every day. It just got to be too much for her. With her leaving, the other child who was your age also left the group, and the remaining children are a year younger than you. I think the socialization has been good for you, but I’m evaluating whether it’s time to move on. In the last few months, you went from shunning coloring other people’s pictures to coloring them with vivid colors and you focus really hard to stay in the lines. You prefer to paint things over coloring them. You still prefer to draw your own pictures. To that end, I found the Draw. Write. Now. books that show you step-by-step how to draw things, starting simple and gradually getting more complex. I will find you with those books pulled out, a piece of paper folded into fours, and you diligently working on drawing something. One evening after finishing watching the Moana movie, I had instructed you to go upstairs for your bath. You disappeared and I followed you upstairs… except when I got up there, you weren’t there. You had tucked yourself into the corner in the living room behind your desk with construction paper and markers, and you were drawing freehand the kakamora (coconut pirates) that you were seeing on the screen like it was the most important thing you’d done you’re entire life. When you were done, you instructed me to send them to Disney so they would use them in the next Moana movie. You’ve also had a turn of attitude in the last few months about workbook sheets, you are now seeing the value in them. You still prefer to work on a chalkboard or a slate instead of paper. If we do that, you will sit there with me for 2 or 3 hours and do the work. We completed one workbook in a weekend that way, you just wanted to keep doing more and more pages. Even in just the last couple of weeks, I’ve seen that you fix your “pencil grip” yourself without a reminder from me. It is so thrilling for me to see each step of progress that you’re making! As you’ve grown and changed in the last few months, I find that you are more analytical and are sometimes a step ahead of me in your mental processing skills. Yet, there are still gaps that I’m seeing as far as the end result of your decisions. I find that I’m working harder these days to evaluate how the things I teach you will impact you as an adult, and find myself pausing more as I respond to you, while I try to give you coping and problem solving skills that will serve you well throughout the next few years. I see everything in that perspective these days because I’m realizing that some of the methods that have been used by the people who taught me were designed to “shut down” the process of learning instead of “working through” the problem to a solution. I see now, in parenting you, how I have “learned” responses that result in panic and anxiety, because of the “shut down” method I was taught as a child resulted in a fear response instead of a “solving” response. Our sweet boy… I treasure my time with you. You are equal parts silly, funny, sweet and mischievous. You are always on the move, experimenting, and yet you go completely still if I’m reading to you. I love our snuggle time and I love our active time. Time spent with you and your father are the best times of my day. The Post About Me & Sinuses and Teeth. I vaguely remember a time that I didn’t have sinus issues. It was before that time I flew to Oklahoma when I was in my early-20’s with a bad head cold. Things were never the same for me after that. Chronic ear crackling; crackling every time I swallow and any sort of elevation change, and when we go up the mountain to Big Bear, my ears squeal at me as they try to adjust. It’s awful. Yet, I saw an ENT in my late 20’s and was told everything looked normal, probably just allergies. So, I pursued allergy treatment and after feeling like a pin cushion for a couple months, I decided it was easier just to deal with it. About 6 months ago, I had some pain in my upper right gums. Enough that I went and saw the dentist. He performed an x-ray and didn’t see anything amiss as far as my teeth went. He did notice that a crown wasn’t fitted properly and there was a small decay in the tooth next to it, but he said he was fine with watching it until next year when I suspect our dental insurance will change to better coverage, as long as I kept it really clean. In August, I went and saw another ENT. His office performed a hearing test and then the ENT peered briefly in my ears with an otoscope and said I had some minor hearing loss, but since I wasn’t a judge and didn’t really need to hear every word someone said, I should just deal with it. He also recommended my son come in for a hearing test, because he felt he might be deaf, as well. Since I figured out he was a douchebag, just for fun, I asked him about preventative hearing protection for when I drive my convertible with the top down. He told me there was no need to do something like that, it wouldn’t impact my hearing at all. Oh really? Good thing I started wearing earplugs 10 years ago or so when I drive somewhere. Three weeks ago, I had major pain in my upper right gums again. I waited a week and then went into the dentist’s office and instructed him to just do what needed to be done to the molars. He drilled the improperly fitted crown off, cleaned up in there (there was some decay under the crown), and fixed the cavity in the tooth next to it. I asked him about the swelling in my gums and he told me that looked like a maxillary sinus infection and that I needed to see an ENT. So I pursued a referral to get a second opinion through my GP. Meanwhile, my gums were swelling larger, my face was swollen in response and I was in a ton of pain. When I got to see the 2nd ENT, I couldn’t even touch my face it hurt so bad — despite the Advil I was taking. After an actual exam (he looked in my nose and ears and checked my tonsils!! ), he prescribed antibiotics and authorized a CT Scan. Surprisingly, the diagnostic imaging place called me that night and fit me in the next day (last Friday). By the time I went in to see them, I had taken 3 antibiotic pills, and as I climbed into their scanning machine, my gums burst from the pressure. The relief was instant and the taste was utterly gross. On Monday, the ENT’s office called and left me a voicemail telling me the authorization had come through and to be sure and schedule the CT Scan. I listened to the voice mail and rolled my eyes. Clearly, they had no idea how on top of things the diagnostic place was. Yesterday, I went back to my dentist and while he was fitting my permanent crown, I told him my gross story about my gums blowing out from the infection. He took a look, went back and looked at his x-ray, and suggested that perhaps I go see an endodontist, just to be sure the roots were OK. Said if there is a problem, it’d be easier to get to now rather than down the road, because the crown is not on permanently and it would not be wise to put a brand new crown on just to potentially drill it off again in a month if there’s a problem. He further said that maxillary sinuses are the only sinuses that drain upwards, and he told me that blowing out the gums is an odd place for them to drain, they don’t usually have enough pressure to do that. He secured the crown with tempbond and sent me over right away. The endodontist did x-rays and told me the tooth was dead. He tested it three times with liquid nitrogen (super fun!!). He showed me on the x-ray where an infection was still present and recommended doing a root canal immediately so that it didn’t infect the surrounding molars. I wish I could have had him take a picture of how he prepared my mouth for surgery; it was kind of amazing. He put sunglasses on my eyes and then he clamped something on the infected tooth and then spread a plastic cape to surround it so nothing landed in my mouth. The image I had in my mind as he worked was of a solitary tooth sitting on a picnic blanket. HA! Turns out, one of the roots in the “dead” tooth was still half alive which made for an interesting drilling experience and many apologies on his behalf for causing me pain. It was my first root canal and I cried — such a bummer and all because of an ill-fitted crown. I cannot believe I’ve spent this much time chasing this problem and 4 1/2 hours in various dentist chairs yesterday. On the upside, though, I finally got a CT scan, so I can’t wait to see what that shows as far as the sinus problems (probably nothing, but still). AND, one of the best discoveries of yesterday? Bite blocks. The endodontist used one while he performed the surgery and I didn’t want to give it up. I will be asking for bite blocks at all my future dentist appointments! Between travel escapades part 1 and 2 lived the peanut butter and jelly part of the trip. The good stuff between the bookends. The seeing of people we love. The visiting. The time spent with family. The memories made. The laughter. The exploring of new places. Because of the mess on the flight out, we lost a half day of time that I had planned to spend with family that Saturday. My aunt had made a special dinner, which she put away for another day when we let her know we wouldn’t be there. Normally early to bed, early to rise, I was grateful that my aunt & uncle were still up (watching football) when we finally did get there at 11:30 PM. I was also grateful that we miraculously did manage to get a decent night’s sleep. Side note about sleep and traveling with William: I’ve learned that it’s better for everyone if I just sleep in the same bed as William when we’re traveling, especially for that first night, I just go to bed when I put him to bed. If I don’t, then he wakes up repeatedly crying (different house, different bed, it makes sense) and then I spend far too much time calming him down and getting him back to sleep, only to have it repeat again in an hour. If I go to bed with him, he’ll wake up, but will reach out a hand, find me and go right back to sleep on his own with no problems. Sunday my aunt had her family over, so William got to play with my cousin’s grandchildren, and I got to visit with the grown-ups, people that I always enjoy spending time with when we visit there. I especially enjoy the quiet moments of conversation that I have with my aunt, and it always seems like they’re too few and too short, because those conversations always seem to happen late at night when we both need to be asleep. Those late night conversations are also the reason I like to stay in her home, instead of a hotel. For some reason, one loses those vulnerable visits with family if you’re staying in a hotel. Thankfully, my aunt loves me enough to put us up. My aunt also passed on some family heirlooms — a child’s rocking chair made by William’s g-g-g-grandfather in 1868, and a handmade quilt that we believe to have been made by William’s g-g-grandma. Getting those items home were a bit of a feat, a worthy feat, to be sure. We bought a sturdy box and bubble wrapped it, but the measurements were too big for “free” check in with Southwest. We priced out other options and ultimately decided to customize the box so it fit within Southwest’s dimensions… and, we are so very grateful that despite all the things Southwest screwed up, they did get those two items home for us without damaging them. On Monday, we went to the Omaha Zoo, which is rated to be in the top 10 zoos of the United States. After having visited it, I can see why. While large, it is really well laid out, so a lot of ground can be covered in a minimum of time. We visited the big cats first, then meandered over and took the tram and the skyride. After which we went to the playground, where William played with the peacocks. Then we went through the gorilla exhibit, their desert dome and their aquarium. It was definitely a full day and we really enjoyed ourselves. Upon leaving, William informed me that, “I’m going to cry about leaving the zoo.” So, I guess it’s safe to say he had a great time. The Omaha Zoo offered half price tickets to us as a reciprocal program to members of the Santa Ana Zoo. So glad I read about that on the zoo’s website! On Tuesday, we went to the Lauritzen Gardens. 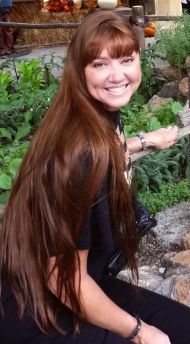 I love botanical gardens (remember my visit to the botanical gardens in Oklahoma City in 2004 or the ones in Hawaii?) and these were just stunning. Upon arrival, we took the tram tour, and then went and had lunch at the cafe (which closed at 2pm). The food at the cafe was amazing! After lunch, we walked back to see their miniature model train garden, which was actually one of the primary reasons for visiting there. The structural elements of the tracks are handmade, even the bridges, from twigs and branches, etc. There are six trains that run, three above and three below, as well as a cable car that goes back and forth. Sadly, it started POURING rain about 20 minutes after we started to look at it. They shut the trains down when it rains to preserve them, so we left. If I had known that it was going to rain and that we would be leaving so quickly, given that’s what we were there for, I would have made that garden our priority and gone there first. That evening, we had dinner in Old Town Omaha at a place called Spaghetti works with my uncle Paul, his wife and their daughter. Their son wasn’t able to make it, sadly. I haven’t seen those two cousins since they were small, maybe about William’s age. It was kind of neat to see her all grown up and to see my uncle play with my son’s Hot Wheels with him across the dinner table. It was a good evening. On Wednesday, we went to breakfast at the Cracker Barrel, and then visited the Union Pacific Railroad Museum. It was an interesting walk-through and able to get through it within an hour or so. That evening we went back to the Bob Kerrey Pedestrian Bridge to let William run some steam off, and also to replicate a picture we took when he was 11 months old. Tony came down with a cold on Tuesday, so he was feeling under the weather. We delayed our departure to my uncle’s farm on Thursday, allowing Tony a little more time to rest. I had hoped to be out there by lunch time, and felt badly that we weren’t given that she had prepared lunch for us. Instead we made it there in time for dinner, which was all homegrown — steak fillets from a steer they grew, tomatoes, potatoes and ears of corn from their garden. It was kind of startling to realize, that with a little effort and land, a family actually can be self sufficient in this day and age. Friday, we spent visiting and playing outside. William played on their swing/slide combo in their yard, played with the litter of kittens who were exploring their home in the woodpile. He also “helped” carve some pumpkins with my cousin’s 2 girls. We went to my cousin’s house after dinner to check out her goats, calf, bunnies, dogs, cats, hens, and a pony. Our day ended too quickly, despite extending it the best we could with a late bedtime. We were up early Saturday morning to make the drive back into Omaha to presumably catch our flight home. All the stress involved with loading the car and sadness of saying goodbyes. A few weeks ago, I saw that the circus was coming to town. Since Tony and I went back in 2006, I’ve wanted to go again, but have been waiting until William is old enough to enjoy it. We got there early, they open the gates 90 minutes before show time so you can see all their animals. William was enthralled with the elephants. The big cats were behind two fences and netting, understandably given that they were like 5 feet away from us, but made it hard to really see them. They had 2 kangaroos, a pig and the usual assortment of goats and dogs. When the show started, their ringmaster came out and, whoa! !, he is incredibly talented and his singing voice is astonishing. I was so very impressed by him that I actually took the time to look up who he is and find out a bit about the man. Andre McClain is his name, and here’s his bio according to the Ringling Bros. website (link). The internet yielded (among other things) that he’s a newlywed, he married his wife (also a circus performer) at a surprise circus wedding, and that he’s a multi-talented rancher and has been with the circus since 2003, only recently taking up the reins as ringmaster. So cool. William enjoyed most of it, like the elephants, the big cats, the trapeze show and the gymnastics floor show. I guess the only part he really didn’t care for was the motorcycles in a cage. He said that was too loud and spent most of that time in Tony’s arms with his ears covered. Although, apparently it wasn’t so loud that he couldn’t fall asleep and take a surprise hour long nap. Thankfully, the bulk of his nap fell over the intermission and when he woke up, he was surprised to see the pig and dog show that was happening. Of course, we did the souvenir picture… we had to. So we could do the comparison picture. A few months ago, when I booked our trip to Hawaii, having been there several times before, I had in mind several activities I wanted to do while there, snorkeling being at the top of that list. When in Hawaii, one should always make it a priority to snorkel. Especially when sea turtles are a part of the aquatic scenery. Tropical fish and sea turtles, how could snorkeling get any better? I wasn’t sure how that priority would work out… I mean, you’re really not supposed to snorkel alone, because… uh… you know, sharks! Also, the places you find tropical fish or sea turtles is usually around the coral, because fish like to eat! But coral is also sharp and the ocean can sometimes be rough. So, what to do with a toddler while both parents are out snorkeling? Well, that challenge was resolved when my mom said she’d love to go to Hawaii with us and even offered to watch William while we went and did some stuff. But the question remained of how to allow William to see some of the underwater scenery without snorkeling apparatus. And then we went to LegoLand. At LegoLand, in their waterpark, they have transparent tubes with a seat — perfect for toddlers who want to float around but not fall through into the water. 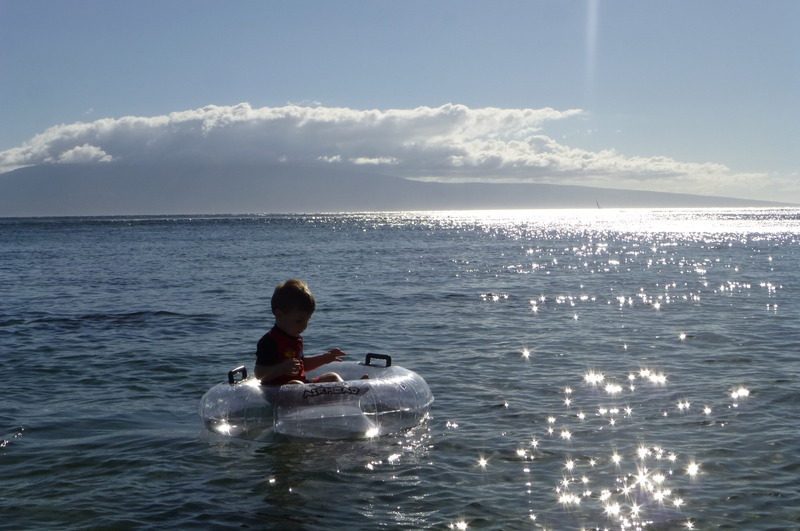 Also perfect for parents who want to take their toddler out in the clear waters of Hawaii with the hopes that he might be able to see a fish or two in their natural habitat. So I tracked down the manufacturer and went on their website intending to order the item… except I couldn’t and I thought it a glitch of their website, but it wasn’t. The problem was, I’m not a waterpark. Shocking, I know, given how much time I spend in the water. I should either be a waterpark or a mermaid! So, since I couldn’t order the tube on their website, I called them. The representative I spoke to was so sweet and as I explained my dilemma, she interrupted me and told me that she would mail me one for free, as long as I promised to tell the world what I thought of their company. So, here’s William at LegoLand’s waterpark enjoying his ride on their tube. Here’s William floating in the ocean while we visited Hawaii in his very own Airhead tube. The water was so clear and there was a fish or two that he got to see through the tube. 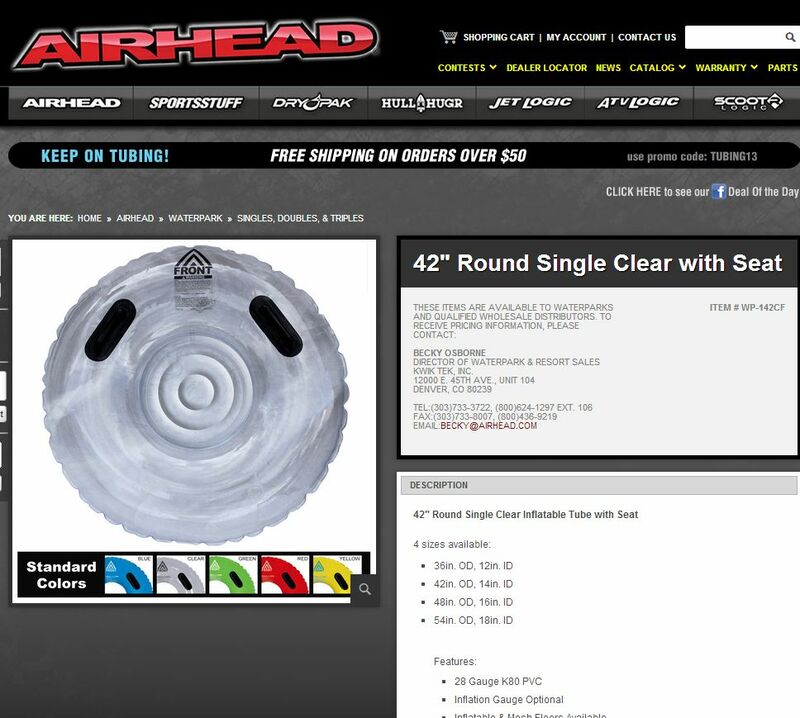 All of which is to say that If I were a waterpark, I would definitely buy from AirHead (or visit AirHead on Facebook). Since Legoland already has, I think that serves as a pretty high testomonial in and of itself. If I ever want any of their products as a consumer, I wouldn’t hesitate to order from them. 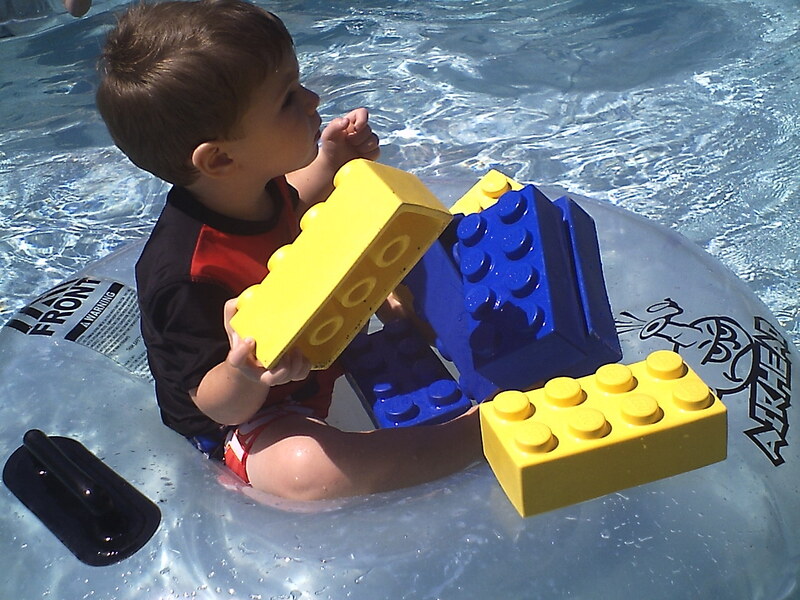 Their products and customer service are top notch, and I foresee lots of floating fun for William in the future. Thank you, AirHead, for your unexpected generosity! Several years ago, I invested in a waterproof camera. It was state of the art, at the time, and I really enjoyed (and still do) snorkeling and water sports in general. So the investment made sense, and the camera could be used above water, too. It had the cool feature of changing picture sizes — meaning, I could get more fish in the picture just by rotating the dial. 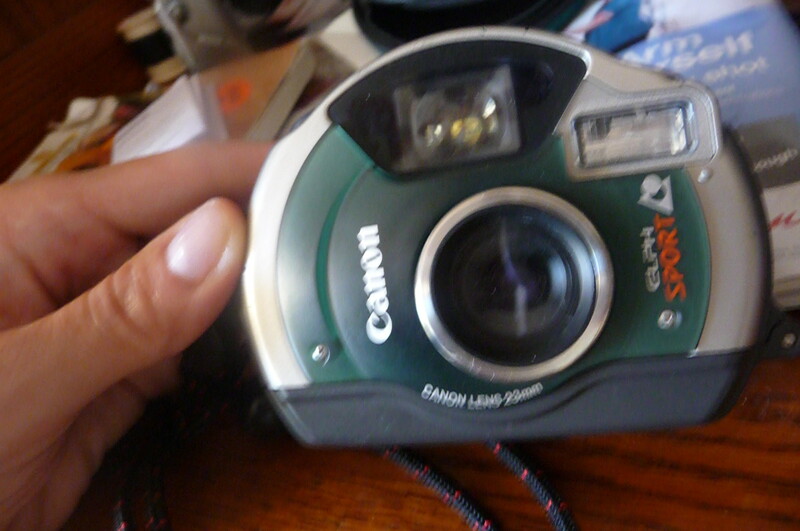 The camera uses APS film, which used to cost about $8 for 3 rolls of 25 pictures on each roll. I discovered a couple weeks ago that there was film still in the camera, so I figured I should finish the roll and get it developed. And then we discovered, through Tony driving all over town, that photo labs no longer develop APS film. Walmart, nope. Target, nope. Costco thought they did, but then when I went to pick up the developed pictures, the employee handed me the roll of film and sadly told me that she didn’t realize it was APS film and they don’t develop it. I searched Google and found out that CVS develops it. 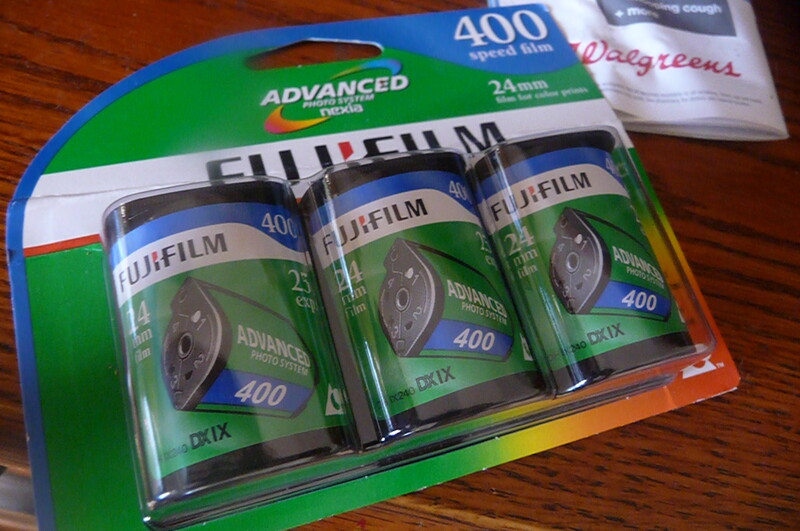 I called first (a stroke of genius on my part), and learned that the ONLY CVS that develops APS film is way the heck over there in another city. After picking up the pictures, the photo guy commiserated with me and told me I’d probably not be using the camera much longer because film for it is hard to come by. Imagine my shock when I checked online and, horrors, the film is now upwards of $32 for three rolls of 25 pictures each. Good grief! I found one more package of the film in my desk drawer. I’ll be using that up and then investing in a digital waterproof camera, I guess. I’ve never felt so old. I found a dress last night at Ross Dress for Less. I love Ross for new bargain shopping. The dress was cheap, like $11 cheap (so well under my $20 guilty spend). I got it home and tried it on and it fit perfectly and planned to wear it today. I got up this morning and realized I had NO idea what shoes to pair with it. I could go with black, but that would be overwhelming. I could always go with beige, but that seems like such a compromise. Then I remembered I had some purple heels. I rummaged around and found them and they matched perfectly. So kudos to me for (1) remembering I had purple heels, (2) finding them in less than 30 seconds, and (3) that heels I bought 2 years ago and have never worn match a dress I bought last night. I may never wear them again because they’re not that comfortable, but I think I look pretty good for the moment!